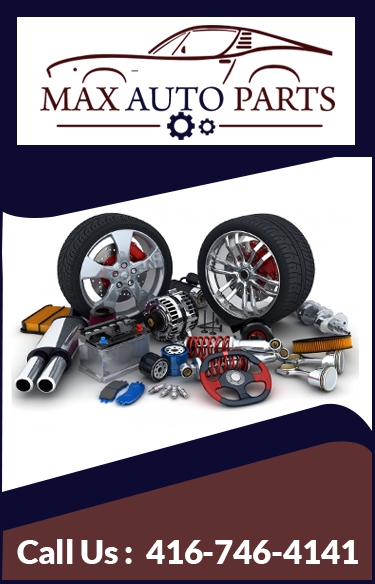 Max Auto Parts is a renowned company offering old and used car and truck parts in Markham. Over the years, we have managed to become a trusted one-stop destination for your auto spare parts needs for all vehicle makes and models. Whether you're fixing or modifying your old car, we are right here to serve you with the best in quality automotive accessories. With amazing prices, exceptional customer service and a full line of new and refurbished performance parts, we are your long-term partner for used auto parts. To serve our client needs, we are equipped with durable, tested and ready to install spare parts for your vehicle. If you are looking for hard to find vehicle components, need not worry, we can even help you get that. All our products offer conditional warranty and satisfactory performance. Our licensed staff at Max Auto Parts is dedicated to make your experience a positive one with outstanding customer service and aftermarket car parts in Markham.